Spring showers can be more than an inconvenience – they can also affect your skin. It can sometimes be tricky to maintain a healthy, glowing complexion in the face of rain, wind and other unpredictable weather. Here are five top tips to achieving and maintaining a radiant appearance throughout these changeable months. 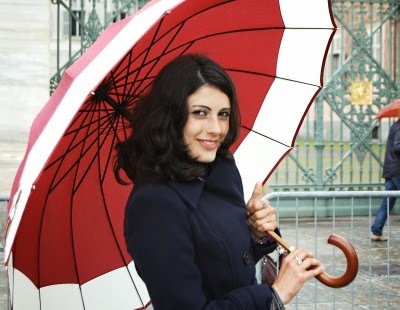 Showery spring days with high humidity are not necessarily the best time to be layering on skincare products and make-up. Take a leaf out of the experts’ books and avoid heavy moisturisers and foundation, opting instead for light formulations and water-resistant bronzers for a natural glow that won’t smudge or run. While lip gloss is normally a good bet in better weather conditions, it can become a magnet for wind-blown hair to stick to – try a lip stain instead. It’s not just bronzer – many products now come in waterproof formulations. These really are worth it if you’re in with any chance of getting caught in a spring shower, as smudged make-up is never a good look. What’s more, improvements in cosmetic formulation now mean that waterproof products are better than ever, with smooth, even textures, so there’s no excuse for not investing in some essential items to see you through those rainy days. Waterproof mascara is essential and, as an added benefit, it also maintains your curl for longer. Get into the holiday spirit early this year. It may seem premature, but spring is actually the perfect time to get that golden glow with the best fake tan products. Spring clean and rejuvenate your skin with an exfoliating scrub to get rid of dead skin cells, leaving it polished and ready to face whatever the weather throws at it. Remember to remove hair at least a day before tanning too, to give the skin time to calm down afterwards. Applying the tan in the evening gives it time to develop overnight and you won’t have to worry about it streaking if you get caught in the rain straight afterwards. While you should never apply lotion before a tan, it’s important to apply it afterwards to keep the colour going and ensure it is evenly maintained. Spring style is all about keeping things fresh and simple, so opt for neutral and refined shades that will complement your newly bronzed look. Go for a long-lasting eyeshadow in a single shade for colour that will see you through the day rather than complicating things with a variety of shades. 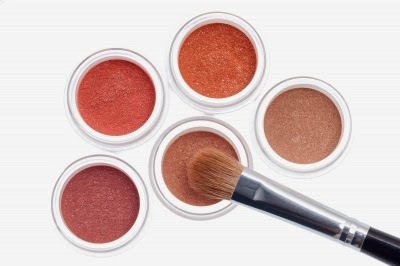 Whether for eyeshadow or cheek colour, cream gels are preferable in humid weather. Choose an oil-free gel formulation for the cheeks to keep shine down and avoid powder which can clump together and streak when wet, with potentially disastrous results. Look out for light moisturisers specifically designed to combat shine, a particular risk when it’s rainy and humid, which can be applied first thing or throughout the day as a touch-up.